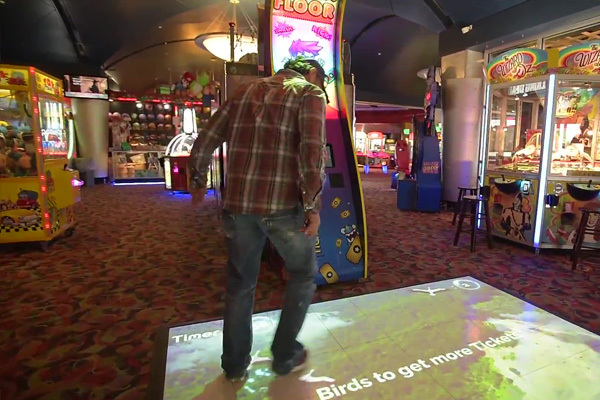 Get MagixFloor Arcade at Great Prices. Contact us Today! Enjoy the benefit of outdoor play Indoors through revolutionary Virtual Reality Technology. The MagixFloor system will add a new dimension to your facility. 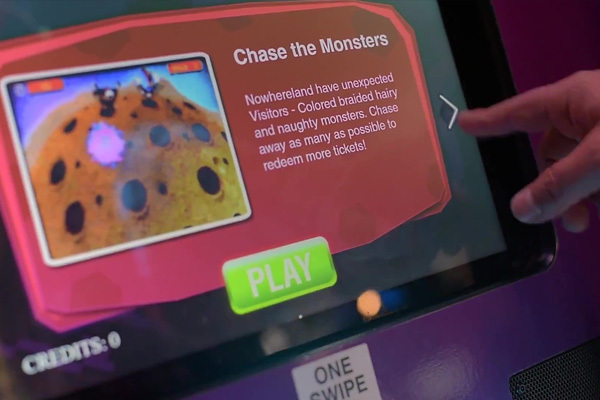 Games include "Chase the Monsters", a game that's played on a virtual playground by stomping on colourful monsters to win tickets! Arcade based format created specially for coin/card operated locations with ticket redemption. Sounds and colours designed to attract and engage repeat guests at your location. 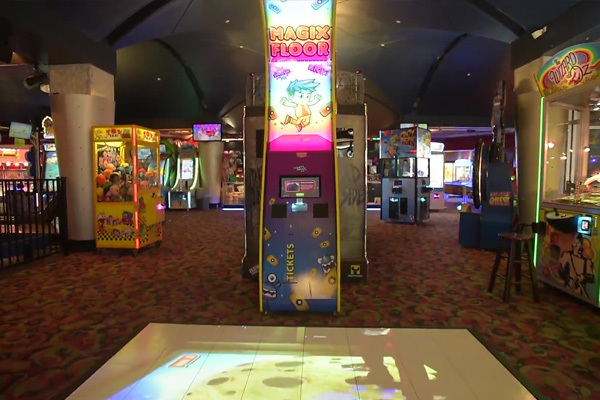 MagixFloor Arcade has a proven return on investment (ROI) of 2-6 months for FEC owners and operators around the world. 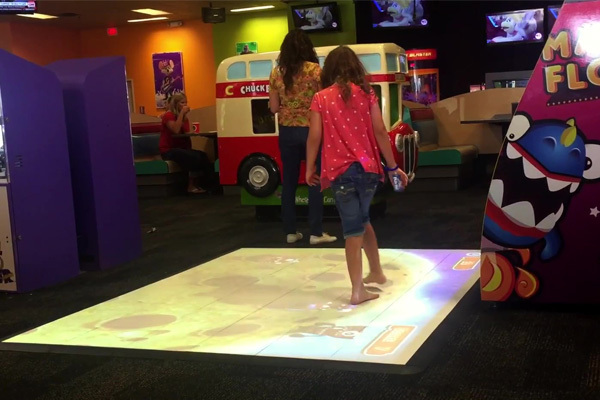 *MagixFloor is also available with the MagixBox projector system. MagixFloor isn't just about playing games - it has the rewarding and added advantage of fusing exercising with entertainment - often called "exergaming" or "active gaming". The system provides a great way to exercise both body and mind in a single safe and engaging activity. 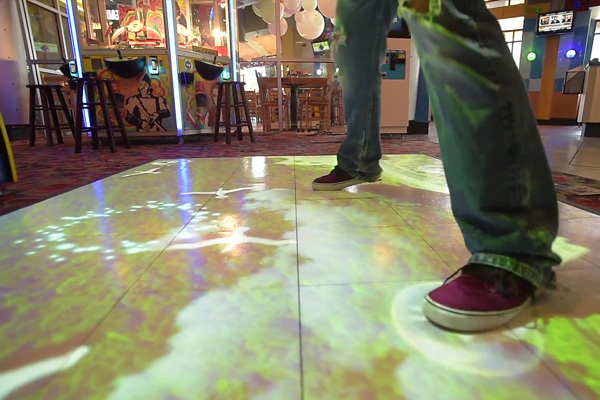 MagixFloor games are hugely popular amongst kids & adults as well as males & females, so you'll have an attraction that's fully inclusive to all who visit your activity centre. Game options include: 3D Chase The Monsters; 3D Meteor Attack; Brick Breaker; Chicken Chase; Corner Soccer; Crush The Egg; Free the Birds.